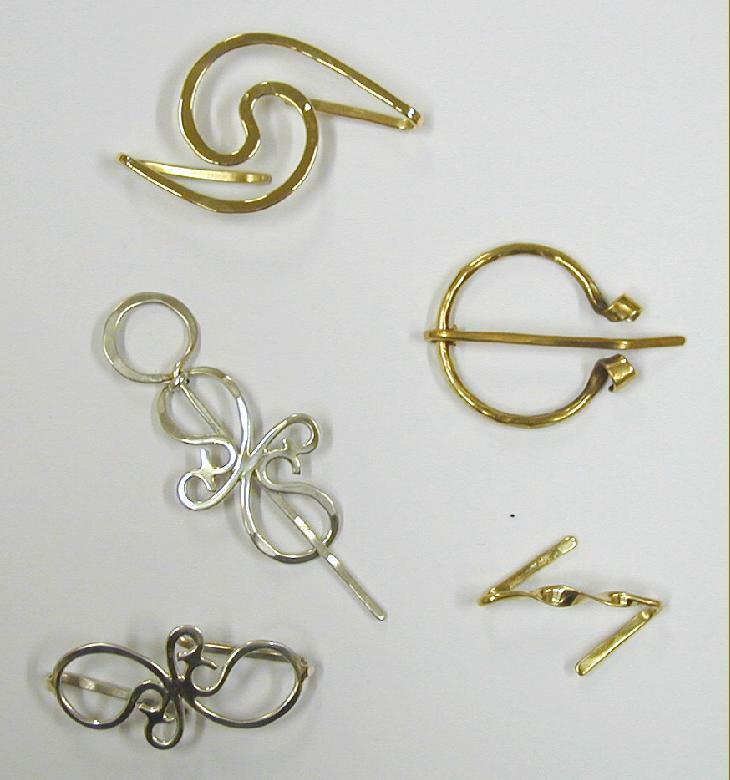 These lovely shawl clasps are made especially for use on lace and other knitted fabrics. Individually handmade of bronze or sterling silver, they will hold your shawl or sweater without damaging or catching. No sharp pins or edges. Each comes boxed, for safe-keeping. Approximately 2 1/8" x 1 5/8"
Approximately 2 " x 1 1/8"
Please note, because these are made to order, there is sometimes a wait of one to two weeks. We do keep a small stock in our shop.